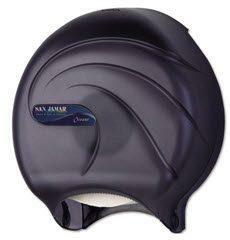 The San Jamar Oceans Duett Standard Bath Tissue Dispenser is easy-to-use and reliable. Made of impact resistant plastic, the dispenser holds two standard bath tissue rolls with a 1-5/8Ó core. 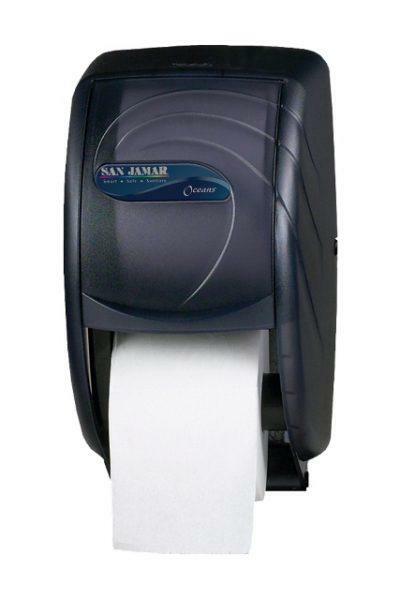 The Infinity System provides continuous availability of tissue and prevents access to the spare roll until it is completely empty, eliminating stub roll waste.